The Sun Belt Conference has decided to upgrade their contract with ESPN, which runs through the 2019-2020 school year. The terms remain undisclosed, but the agreement will extend the partnership for eight more years. The deal will also allow more Sun Belt sports to broadcast games on ESPN’s family of networks. The conference has announced that the contract will grant exclusive multimedia rights to ESPN through the 2027-2028 academic year. The eight-year agreement will go into effect prior to the inaugural Sun Belt championship football game, which will be featured on either ABC, ESPN or ESPN2. All other conference football games will also be available on one of ESPN’s digital or television platforms, including the new ESPN+, Turner’s subscription-based streaming service. Starting in 2020-2021, ESPN and its affiliates will show 500 or more Sun Belt events per year. A minimum of 10 Sun Belt home football games will be shown on ABC, ESPN, ESPN2 and ESPNU, and new sports will be featured as well. Coverage for men’s and women’s basketball is set to increase steadily over a two-year period. No fewer than 100 games will be shown for the 2018-2019 season and no fewer than 150 games will be shown during the 2019-2020 season. Mike Holmes, the communication director for men’s basketball at Georgia State, issued a statement on the new deal. The new ESPN partnership will also allow non-athletes interested in television production to gain experience. Students will have the chance to create content for ESPN and help promote their school’s athletic program. The history between the Sun Belt Conference and ESPN dates back to 1979 when ESPN was launched. The Sun Belt men’s basketball championship has appeared on ESPN or ESPN2 every season since the network’s inception. The Sun Belt Conference has also announced a new scheduling model for basketball starting in 2019-2020. The conference plans to play conference tournament games in New Orleans’ Smoothie King Center, home of the New Orleans Pelicans, in 2020. Sun Belt basketball will also feature a new ranking system that places groups of three teams into four pods based on their rank: Pod A (#1, #2, #3), Pod B (#4, #5, #6), Pod C (#7, #8, #9) and Pod D (#10, #11, #12). 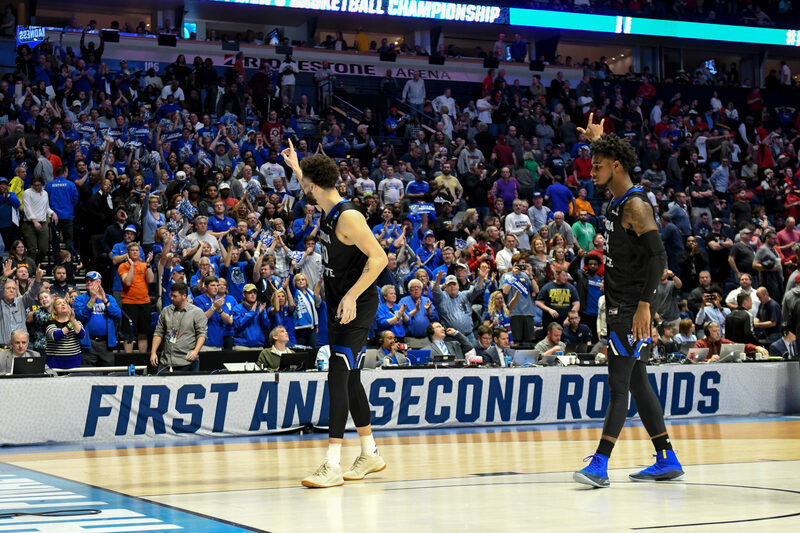 Each team will play the other two teams in their pod for the final four games of the season, leading to more competitive matchups leading into the conference tournament. That title is so concise it’s almost mute. Thanks Wyatt. We appreciate you reading.